Modern aircraft of the United States. 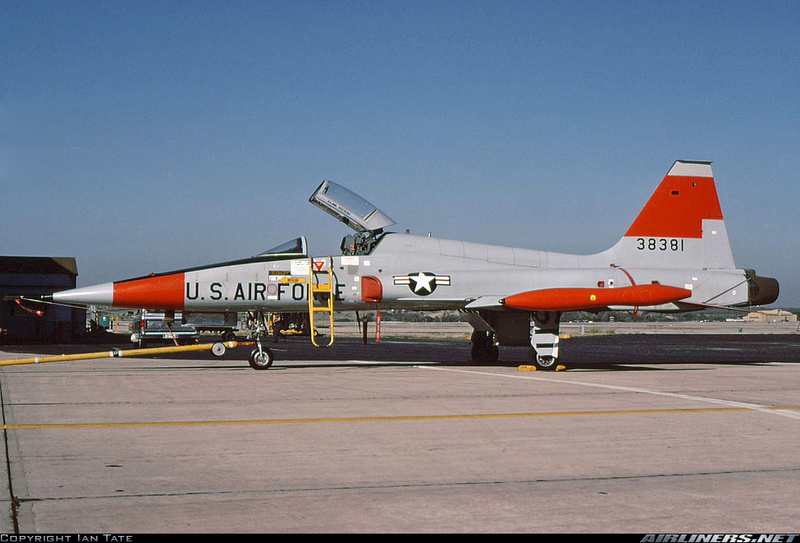 I'm currently building Kinetic F-5A kit and I will paint it in USAF training markings (one of the Greek jets that were held for some time at Kelly AFB and used by USAF). I would very much like to use the emblem, but I want the model to be reasonably accurate, so I want to make sure that at some point in time the jet actually carried it. So my question is, does someone have a reference photo of that particular jet WITH the emblem on the tail, as in the Kinetic kit?